Nagaland is located in the North East coast of India. Surrounded by Myanmar it's popular as a hilly area. Vehicle owners and all others drivers must follow traffic rules as instructed by Nagaland RTO. Nagaland RTO operates as per the applicable law. It is headed by the Transport Commissioner. How To Get Your Vehicle Registered By Nagaland RTO? Whether you have two-wheelers or four-wheelers or any other mode of transport in Nagaland it needs to be registered. Nagaland RTO is the concerned authority to approach to get the required license. As soon as you buy a new vehicle you must follow the required registration process. Even if you buy a second-hand vehicle than the registration details of the vehicle should be changed. In order to get registration copy for new vehicles following documents are required. In case of second hand vehicles, we need to submit original Registration Copy in addition to the above list. After receiving all the documents registration copy of the vehicles is provided within three to seven working days. Tenure may vary based on the documents verification. Nagaland RTO is responsible for implementing all the applicable law pertaining to transport. 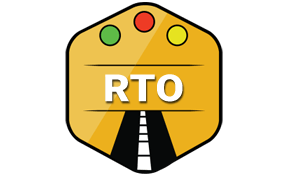 Tasks that it performs is at par with any other RTO. Highlighting below some of the major functions of Nagaland RTO. We cannot drive the vehicles without a license. Even if we are learning driving from any driving school then also we need a license. Learning license is issued to all individuals who is beginner in driving. This is valid just for 6 months. After that Driving license is a must. Driving license can be received through Nagaland RTO after submission of required documents. If there are few people on the appointment day than the license can be given on the same day. However, for getting this license all our documents should be thoroughly verified. Along with that, we must clear the required driving tests as well. Registration copy is another mandatory document for our vehicles. It can only be received by Nagaland RTO. The entire process has been elaborated above. Whenever we are shifting our vehicles to different state we need to get NOC. This may not be required for the initial three months. However beyond that its mandatory. Other Important functions as performed by Nagaland RTO are as follows.